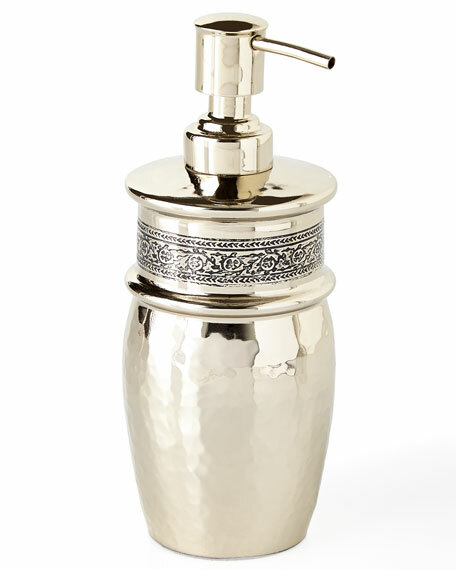 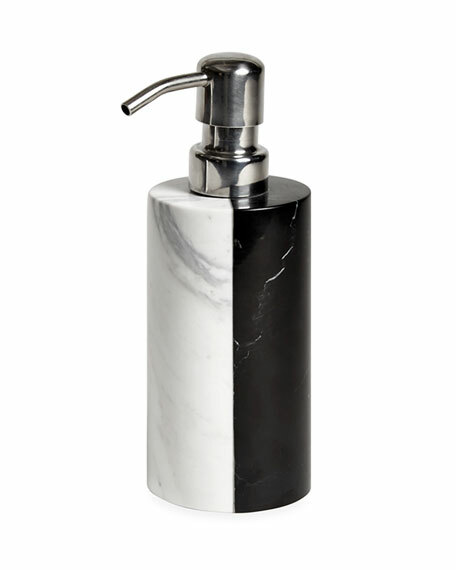 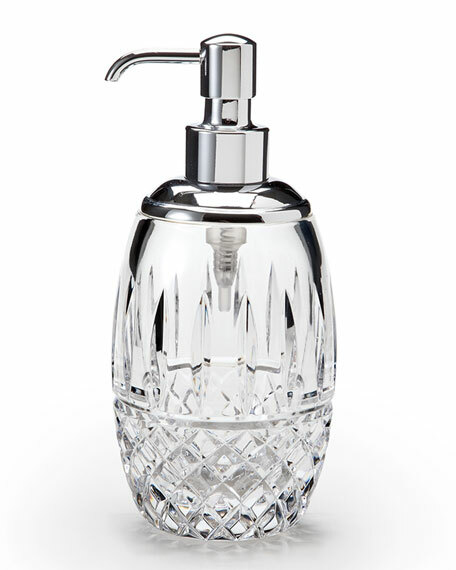 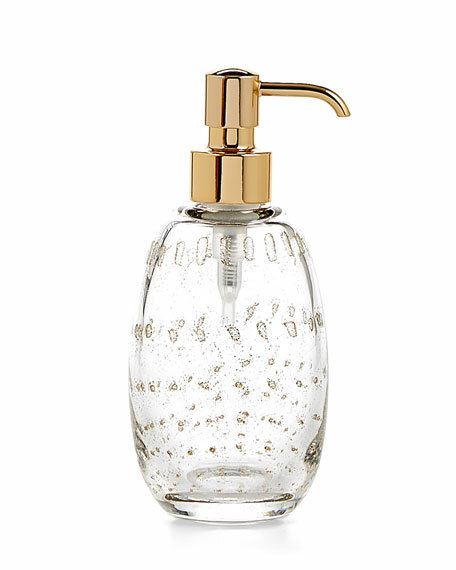 Marble pump dispenser with brass inlay. 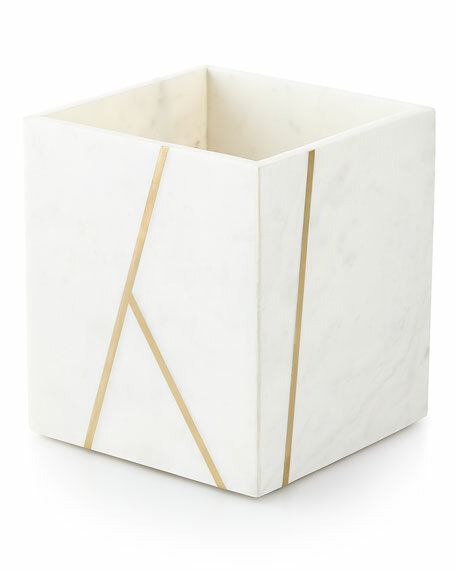 Marble wastebasket with brass inlay. 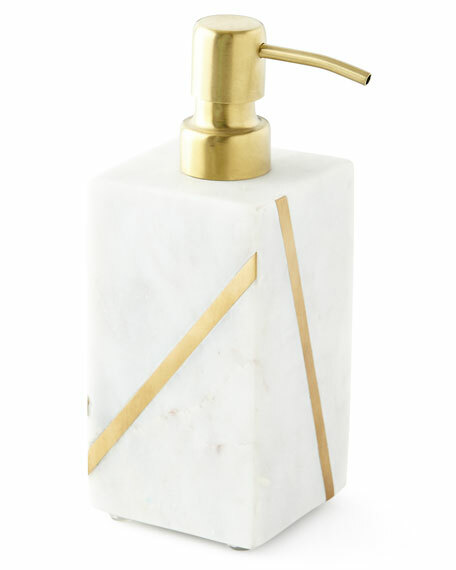 Marble vanity jar with brass inlay. 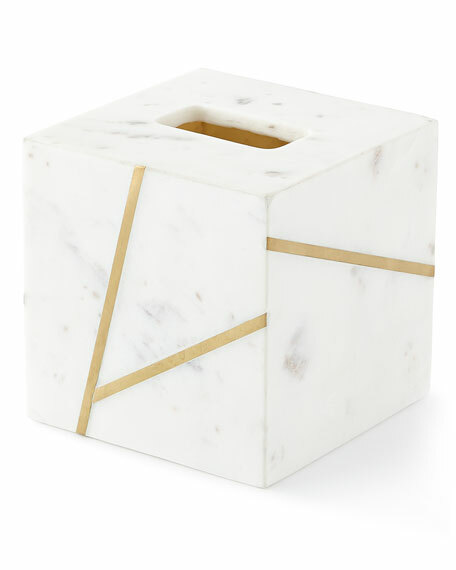 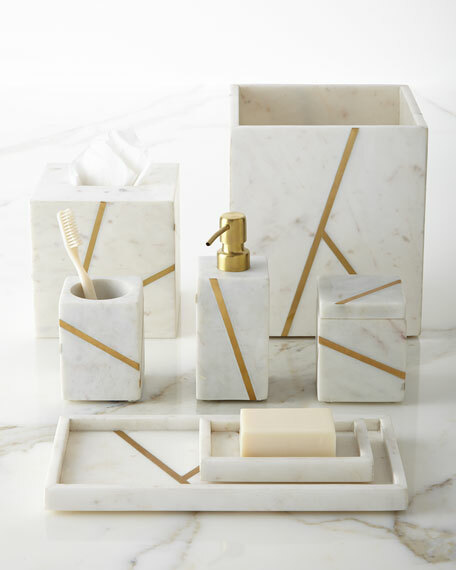 Marble tissue box cover with brass inlay. 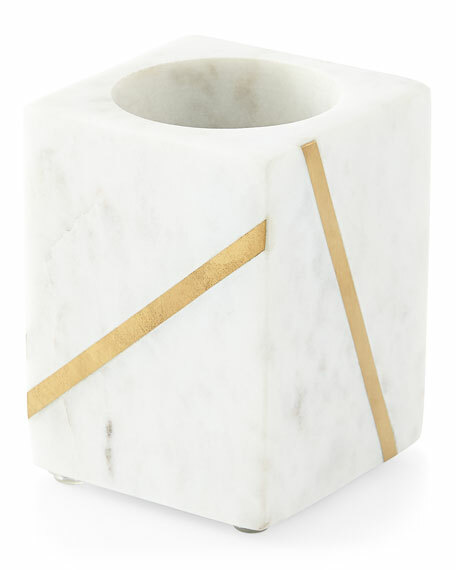 Marble tumbler with brass inlay. 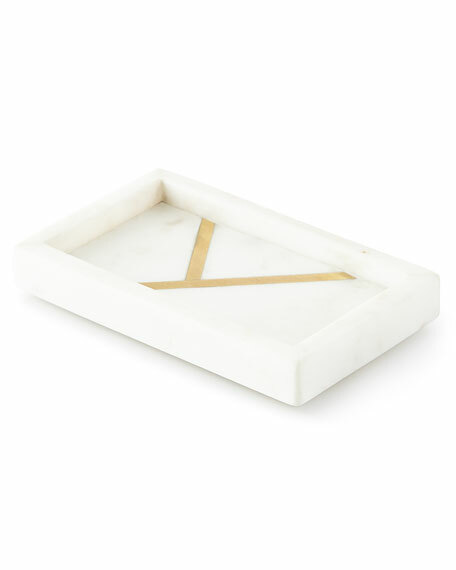 Marble soap dish with brass inlay. 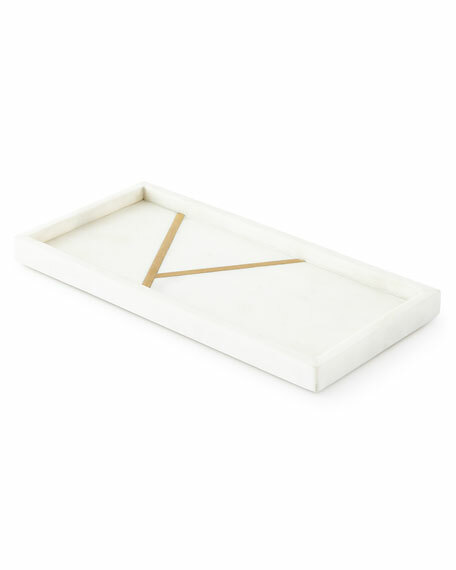 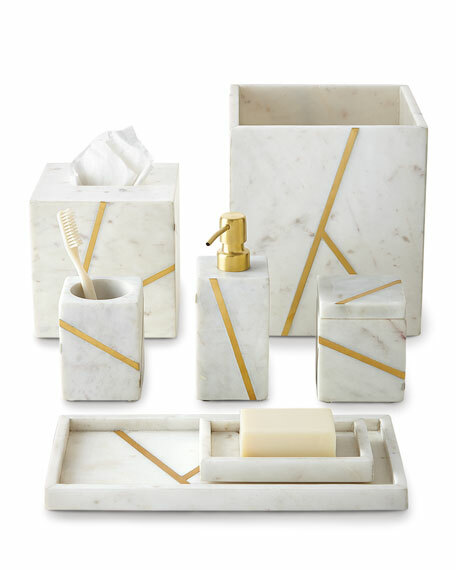 5.75"L x 3.5"W x 0.75"T.
Marble vanity tray with brass inlay. 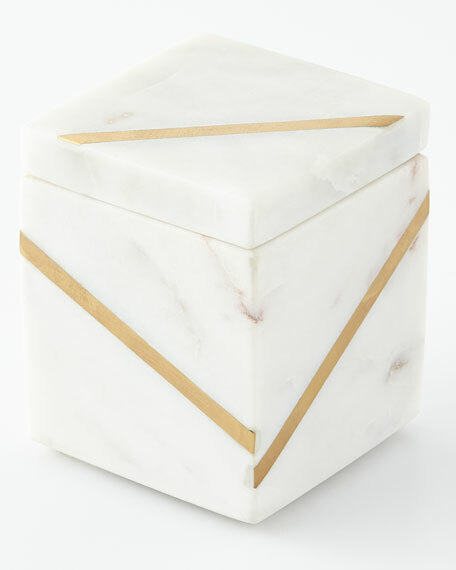 12"L x 6"W x 1"T.